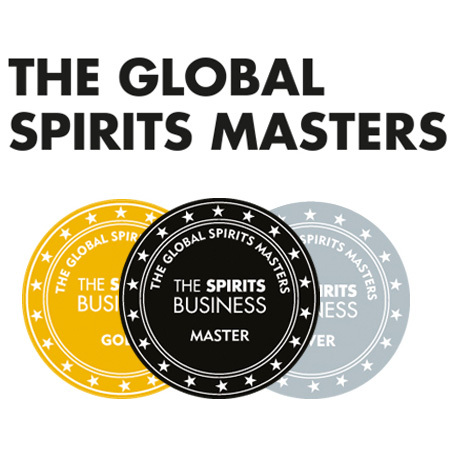 Whisky dinner… no wait! It’s Arran Peacock! I went to the Whisky Picnic preview dinner last night and I really want to write about it now… but I can’t. A word of explanation. Last night, just after 7, I was in The Saint, enjoying a pint and some small talk well delivered by bar staff, waiting for the dinner to be served. Then, all of a sudden, someone grabbed my head from behind and the next thing I saw was the shiny marble bar surface racing towards my face at 100 mph. Bam! And again! And again! ‘Enough!! !’ I shout spitting teeth all over the place. ‘Please!!!’. The grip loosens. I turned around to identify my oppressor and squealed in horror when I saw her. Right in front of me, still holding a fistful of my hair, shooting lightnings from her eyes and gashing thick smoke from her nostrils and ears, stood Céline from The Arran Malt. I had deserved the lashing. In her kindness and generosity Céline sent us a bottle of Arran Peacock in August. It is now October, or so does my landlord say. Has Peacock, until now, been reviewed or mentioned on the blog? No. 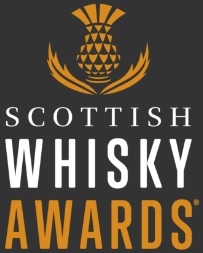 Never trust a whisky blogger. They are a horrible, unreliable bunch. Nose: Overripe bananas! Marzipan icing, lemon tart, toffee fudge. Vanilla kick, wafer in white chocolate. Lemon peel with water. Indulgently blonde. Palate: Starts off quite feisty, prickly and spicy but quickly develops malty, warming, vanillish and wonderful! With water opens up, tastes… gingery, grapy peachy. Finish: Finishes light and smooth, but… persistent. Lingers. Sweetness and spiciness. Overall: I’m well impressed but not surprised. Arran release nothing but top juice recently. Cutting the cask finishes portfolio is definitely a way forward for this distillery. 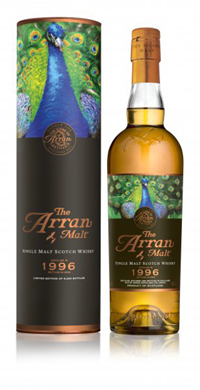 As Peacock proves, simple and honest bourbon cask maturation of Arran malt brings out the house-style and creates whisky of balance and charisma. Simple and elegant packaging adds to the value. They are able to deliver all that for £36. Done and dusted. This entry was posted	on Tuesday, October 6th, 2009 at 12:05 pm	and is filed under Reviews. You can follow any responses to this entry through the RSS 2.0 feed. Responses are currently closed, but you can trackback from your own site.